Art has changed. Today’s works of art may have no obvious focal point. Traditional artistic media no longer do what we expect of them. The styles and movements that characterized art production prior to the twenty-first century no longer exist. This book provides a straightforward guide to understanding contemporary art based on the concept of the tabula rasa – a clean slate and a fresh mind. 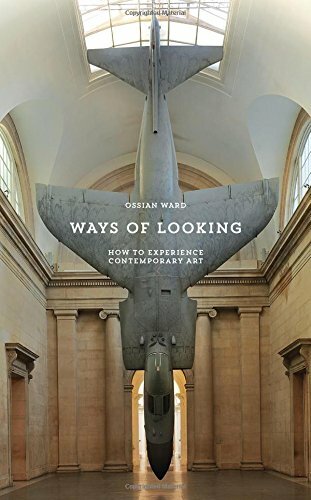 Ossian Ward presents a six-step program that gives readers new ways of looking at some of the most challenging art being produced today. Since artists increasingly work across traditional media and genres, Ward has developed an alternative classification system for contemporary practice such as ‘Art as Entertainment’, ‘Art as Confrontation’, ‘Art as Joke’ — categories that help to make sense of otherwise obscure-seeming works. There are also 20 ‘Spotlight’ features which guide readers through encounters with key works. Ikebana and tea ceremony, karate and calligraphy—all traditional Japanese arts and practices share certain ideals and techniques to achieve the same goals: serenity, mind/body harmony, awareness, and a sense of connection to the universe. This collection of three complete books provides H. E. Davey’s unique insights into the rich universe of these Japanese spiritual, artistic, and martial traditions while introducing the reader to practical examples of two Japanese forms of “moving meditation” that exemplify the union of art and spiritual growth. 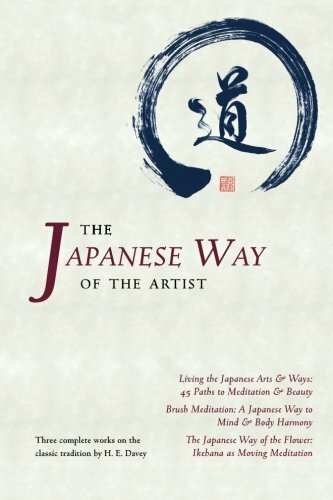 Living the Japanese Arts & Ways presents 45 essential principles—like wabi, “immovable mind,” and “stillness in motion”—that are universal in the Japanese classic tradition. Revealing little-known, ancient, and powerful teachings that link all classic Japanese arts, it explains how they can beneficially transform your life. Living the Japanese Arts & Ways was the recipient of the Spirituality & Health magazine Best Spirituality Books Award. Brush Meditation introduces beginners and non-artists alike to Japanese calligraphy, and shows how even the most elemental stroke of ink and brush reveals your physical and mental state. It’s packed with amazing examples of the author’s award-winning Japanese calligraphy. The Japanese Way of the Flower examines practical methods for looking at nature and leads the reader through simple meditations as a prelude to learning how to create easy ikebana compositions. This anthology contains an all-new introduction by the author. The entire text is complemented by diagrams, drawings, and photographs, plus information, resources, and glossaries of Japanese terms. Ultimately, the message is that any encounter with a challenging work of contemporary art need not be intimidating or alienating but rather a dramatic, sensually rewarding, and thought-provoking experience.